This week we are inspired to share a newly added gift at More Than Paper: personalized marble and travertine coasters! Coasters make a wonderful gift for hostess, housewarming, or someone who loves to entertain. Are you going to a "stock the bar party?" Pair these coasters with a bottle of wine for the perfect gift! 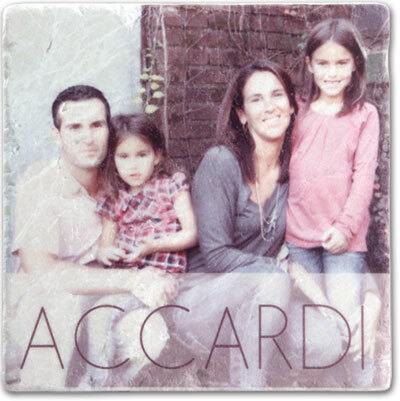 We love this photo coaster design. 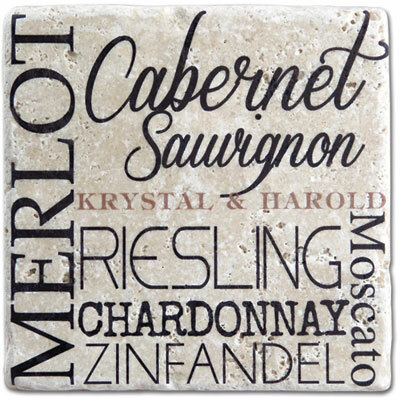 If you are looking for something different, check out a dozen other great styles of personalized stone coasters at More Than Paper. We also love the bold and graphic nature of this design printed on travertine. The authentic marble and travertine coasters come in a set of 2 or 4 and have a no-slip cork backing. They arrive packed in a gift box ready for gift giving. So which is your favorite and who will you buy it for? Such a pretty nice and cute family. I like keeping memorise by taking photos. Thanks for sharing nice blog.